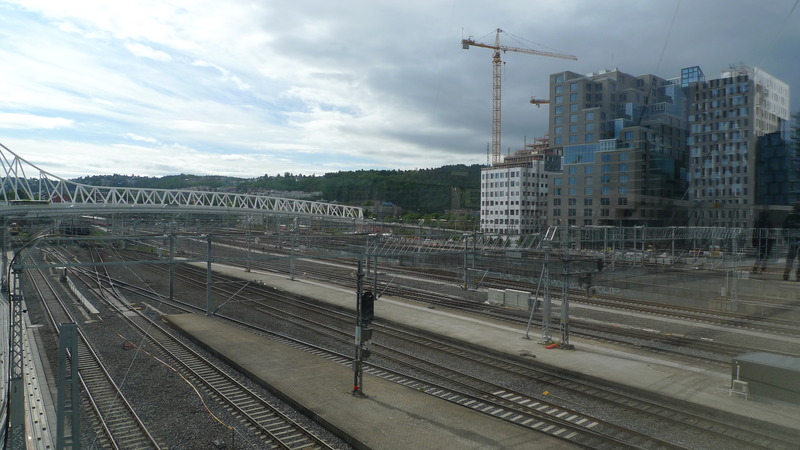 Europe has many crane cities (Brussels immediately comes to mind) but, as I pulled into Oslo Sentralstasjon, I wasn’t expecting to see that horizon. Yet similar to many other major cities (e.g. London, Amsterdam, New York), Oslo is focusing on waterfront redevelopment. Also similar, the city seems committed to predominate global waterfront ideologies (e.g. young, successful, urban). In London and New York this is also called gentrification, speculative real estate, gated communities…. But can I assume the same in Oslo? It’s well known that Scandinavian countries have some of the most expensive standards of living; this is justified because it’s not only the highest standard, it’s theoretically accessible to all. At least, that’s the stereotype. But last night, as I walked out onto the balcony of my temporary apartment—a housing project in the ‘immigrant’ neighborhood of Gronland—and looked at those skeletal structures I couldn’t help but wonder if Norway’s welfaresocialistcapitalist something made this waterfront redevelopment different from, say, Williamsburg. During my short, 36 hours here, I’ve come to think that just because Norway has some of the highest taxes in the world does not mean it’s any less capitalist, or any more egalitarian than the rest of the world—and the same can be said for their waterfront development projects. I write this as roughly 30 percent of public sector employees go on strike for the first time in nearly three decades. 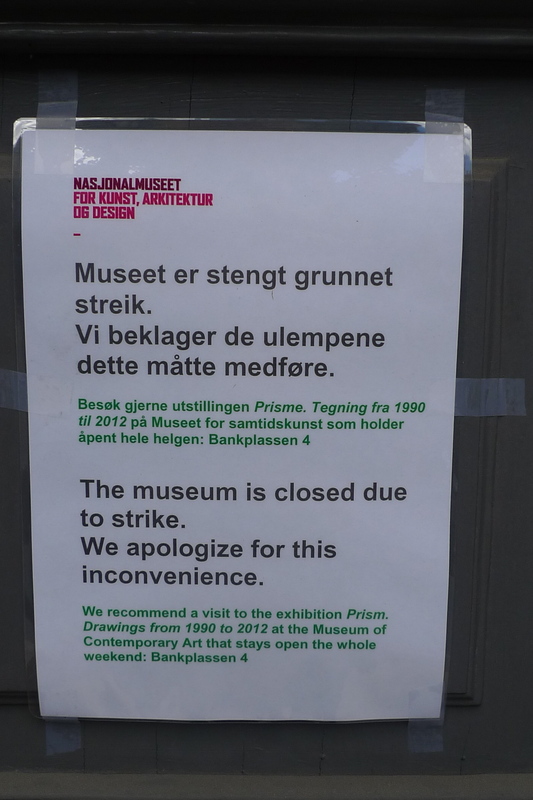 Roads are shut down, the airport has no security, and I cannot get into the Architecture Museum. The strikes are in protest of the government’s decision to increase public sector wages by 3.75 percent. Although 3.75 percent sounds pretty good to me, union officials argue that this increase doesn’t match average private sector wage increases, which are thought to be closer to 4.3 percent. Although I’m all for social solidarity and for keeping the public sector alive, well, and high demanding, I have to admit that this protest seems a bit weak, (as in there’s a reason it’s called the private sector). Many people I’ve spoken to here say that Norway remains unaffected by the global economic downturn. Maybe that’s why 3.75 percent is offensive. Certainly being unaffected by the recession helps explain why these cranes are active (as opposed to Williamsburg, where they remained static for nearly two years). 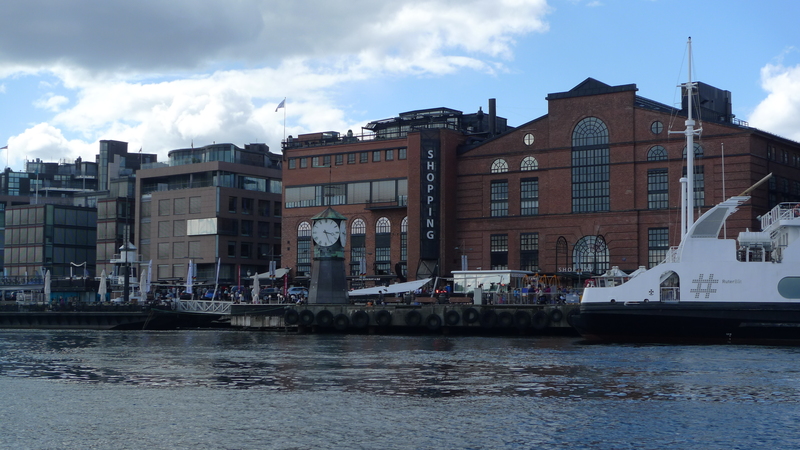 It also helps explain why Oslo is investing in a second major waterfront redevelopment (Akerbrygge being the first, with an expected completion in 2014)—because there’s a demand for it. Quoting the city’s Master Plan “Recent years have seen a growing preference for dwelling close to the city centre, one reason being that young adults represent a large demand group. This group has less need for large dwellings and outdoor areas than families with children,”(10). I’m told this waterfront construction includes over 1200 new housing units (this is aside from all the housing construction in Akerbrygge). That is a huge housing increase for any redevelopment project, but particularly huge for a city whose total population is less than a million (over if one includes the metropolitan area). Population projections done by the national government anticipate Oslo’s population to grow from roughly 599,000 (2011) to 786,000 by 2030. This growth is associated with a surge of immigration and children born to immigrant parents. 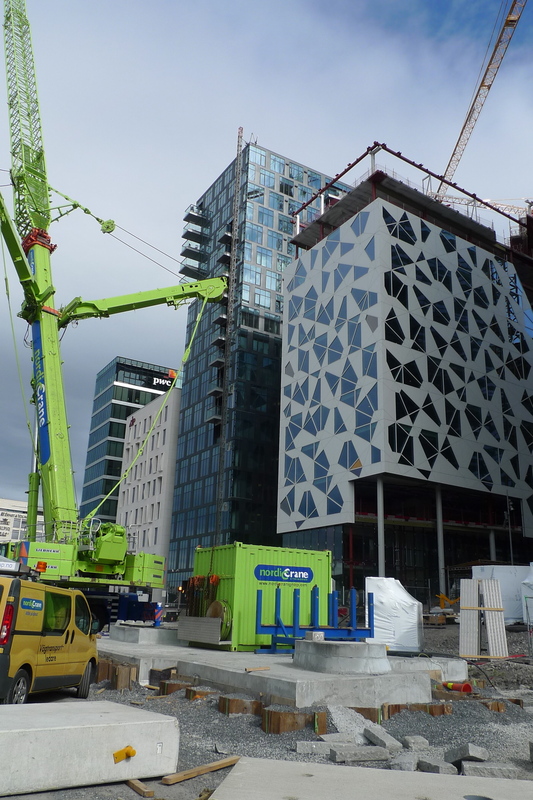 Now, I cannot say this with certainty, but my gut tells me these architectural marvels along the waterfront are not some kind of welcome gesture to Norway’s future citizens. Also in the city’s Master Plan it is explained: “responsibility for meeting the housing needs of particularly vulnerable groups is delegated to the city districts,”(11). In other words, this responsibility does not fall upon the city itself. I was unable to find any documentation (I’m restricted to English) about what responsibility the waterfront district (I believe it’s Sorenga) feels toward vulnerable groups and inclusive housing policies but, based on my gut response to the aesthetic, I would say very little. Furthermore, I’m uncertain about if and how this fits into my questions about Oslo’s public sector. Do they constitute a ‘class’, a ‘vulnerable group’? If ‘they’ wanted to live along the water could they? I’m jumping the gun here, I might be mixing my apples with oranges, but I can’t help but wonder what Oslo’s story around class and space might be. Although I just got here, it is easy to see which neighborhoods are under dynamic transition. I’m told to check out Grunerlokka, the ‘Greenwich Village’ of Oslo where ‘the working class has been replaced by people who hardly know anything about manual labour.’ Grunnerlokka is full of fabulous shops, delicious cafes, and is monitored by UNIK—a group of people dedicated to keeping the area unique. So although every male on the street is on a skateboard, pushing a stroller, or both, it’s pointless to point the finger at the cool, the beautiful, and the hip as the source of the problem. And the same can be said of developers. A city needs development if it’s to continue as a city. A city also needs wealth if it’s to support things like affordable housing, free school lunches, good health services. However, it’s less obvious how this plays out when each district is individually responsible for housing vulnerable groups. Redistribution of capital and patterns of finacialization are all phenomenon that cause spatial shifts in cities throughout the world. 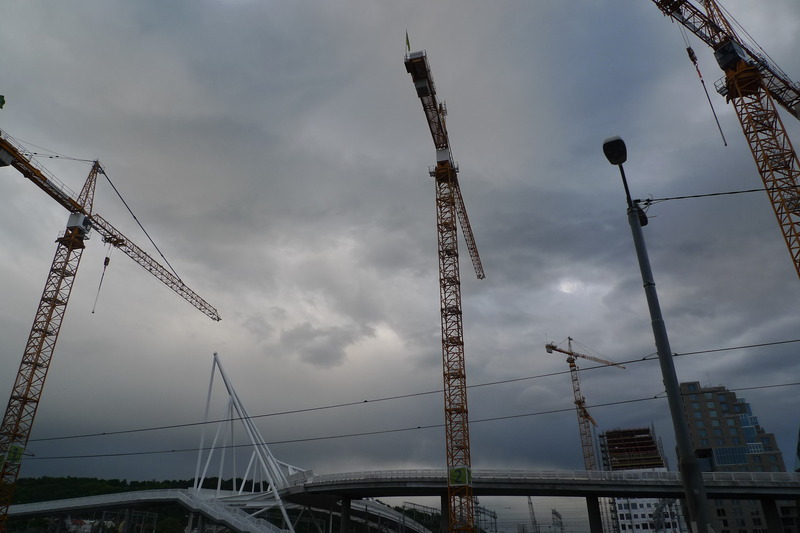 My guess is that even in a country with a strong social support system, little if any of Oslo’s new waterfront housing construction will be below market rate. 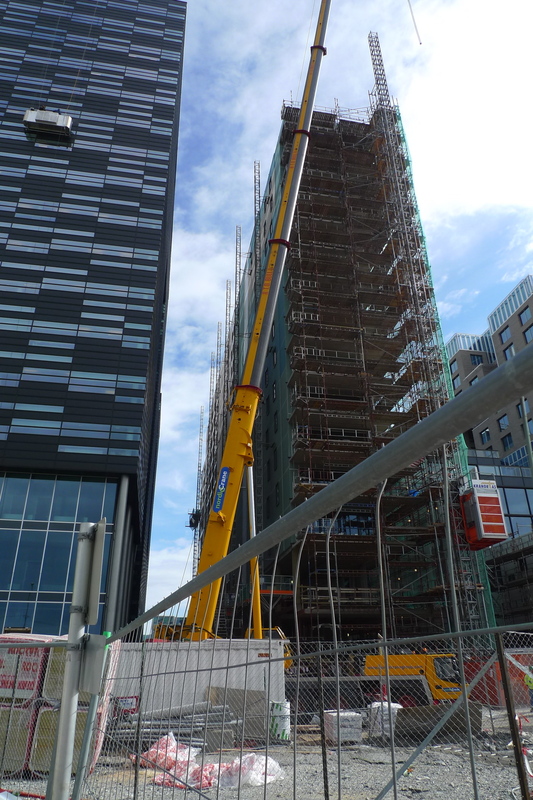 Rather, the anticipation is that as the waterfront develops, Norway’s upper crust will move in, which in turn opens housing in other areas of the city. The waterfront will never be Grunnerlokka, just as Battery Park City will never be Williamsburg. That’s okay, different people want different things regardless of being capitalist, socialist, or whatever. But what happens when someone does not have access to spaces and places because of their social, economic, racial, or ethnic position? The concern I have can be summarized as passive aggressive exclusionary zoning. Not zoning in the sense of residential, commercial, and manufacturing. Zoning as in zoning out classes, races, and ethnicities. For example, while on a tour through the fjords around Oslo I was continually reminded about how inaccessible the ability to ‘escape’ the city is for many residents. Most idyllic islands around Oslo are privately owned, or are a collection of privately owned summer houses that form a conglomeration of private property. Almost all of them are accessible by private boat only. With no ferries going to these locations, it is impossible to visit, to participate in the pleasures of the city’s most beautiful landscape. Here, I’m reminded of Robert Moses and the New York City beaches—by strategically limiting public transit, beaches that were technically public became private as only people with automobiles could reach them. This is an example of passive aggressive exclusionary zoning. If a beer and falafel seem expensive to me then I’m obviously going to be a terrible judge of this city’s livability. 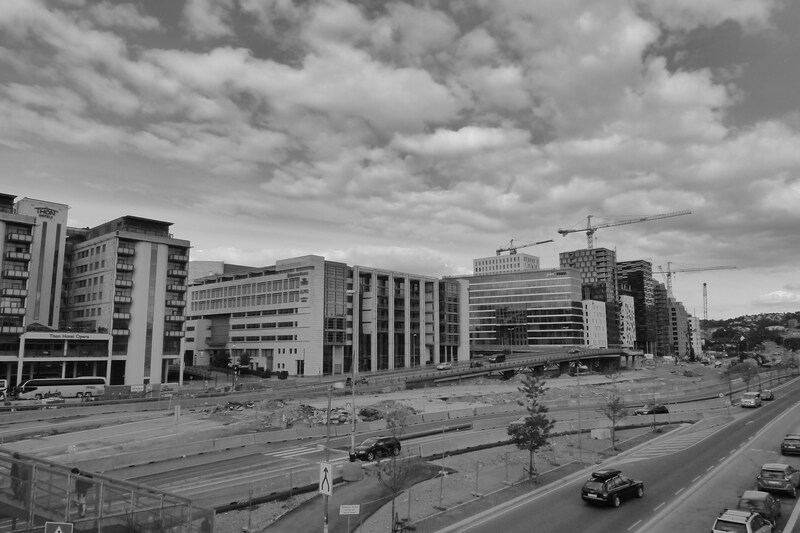 The city’s plan, as far as urban planning documents go, seems as egalitarian and inclusive as could be. Walking around I note the diversity of the city, that it’s not as pristine as I imagined it to be (a good thing), and that, like many cities, power, money, and utopian dreams of future aesthetics are visible to the naked eye.